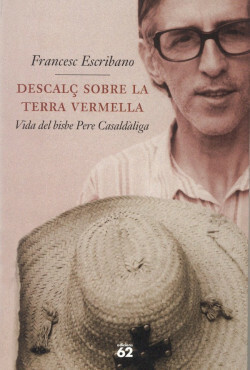 Original title: Descalç sobre la terra vermella. When he arrived in Brazil in 1968, Pere Casaldàliga was a priest who came from a traditional family and from the closed environment of Franco’s Spain. He had managed to realize his dream to be a missionary, something that changed his life forever. Hit by the large differences he found and by the true reality of the social area, he decided to fight hard in support of the indigenous people. Bishop from 1971, his fight has led him to be threatened with death many times, and to confront the military dictatorship, and even the Vatican. His life and experiences are being currently adapted into a mini-series by TV3. A testimonial book that explains the struggle of Bishop Pere Casaldaliga for the rights of the farmers of Mato Grosso.